Tree trimming might seem like a minor task that doesn’t call for a professional tree service. After all, you’re not cutting down the whole tree so what’s the big deal? Sure, pruning off a little branch here or there isn’t a big deal. 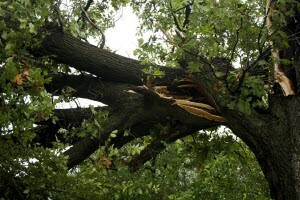 However, when there is tree damage from a thunderstorm, a fallen power line, or large branches threatening to come down, tree trimming becomes a far more serious situation. When a tree branch threatens to fall down onto your home, a neighbor’s house, a fence, expensive landscaping, or any other valuable piece of property, safely removing the branch becomes complicated. It can call for an experienced professional tree service that will follow meticulous steps very slowly and carefully. This is often the only way to avoid extensive property damages. Another thing most people do not know is that a tree branch CAN conduct electricity. This means a downed power line could electrify the tree and create an immense safety hazard. Any damaged tree that has a downed power line on or near it should always be handled by experts, and nobody else. But not all tree damage is this extensive or dangerous. Maybe you need to have some tree branches cut back in order to clear the road or sidewalk. There are certain techniques professional tree services use that will promote the health of the tree. Using the wrong methods or tools could cause even further damage to the tree, or even cause disease that can outright kill the tree. Sometimes, people trim dying branches off their trees, thinking that they are doing the tree a favor. However, the experts can tell what exactly is wrong with the tree. They will know whether trimming dead branches will help the plant, or if the entire tree is destined to die of the disease anyway. 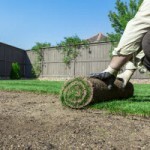 In those cases, it’s best to remove the entire tree and its roots before the disease can spread to neighboring trees. If you are ever in doubt as to what is wrong with the tree…if safety and property damage are concerns…if you cannot easily remove a damaged branch with your hands…you should always call in a professional tree service to address the situation. There are simply too many variables and risk factors involved to handle the problem on your own. Experts can assess the tree, diagnose diseases, and safely trim branches or remove the whole tree and stump. Atlanta’s heavy thunderstorms cause tons of damaged trees. Those trees and branches can crash onto homes and vehicles, tear down power and phone lines, and cause millions of dollars in damages every year. Whether you have a diseased or damaged tree on your property, Su-Tree can help. In North Georgia, call (404) 392-6935 for a free estimate on professional tree service.